In Chap. 7, we have discussed the topic about semantic markup. As we have concluded, semantic markup by the general public on the whole Web seems to be too challenging to implement. However, for a much smaller domain and scope, semantic markup is feasible, largely due to the fact that publishing and sharing a collection of core ontologies within this smaller domain is much more easier. 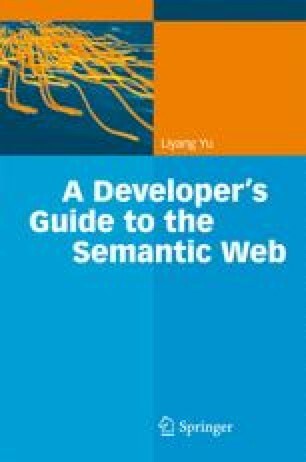 This chapter will provide one such example so that you can get a detailed understanding about when and where manually semantic markup can be a useful solution.